Ron Crawford passed away at Stratford General Hospital on April 1, 2019 at the age of 63. 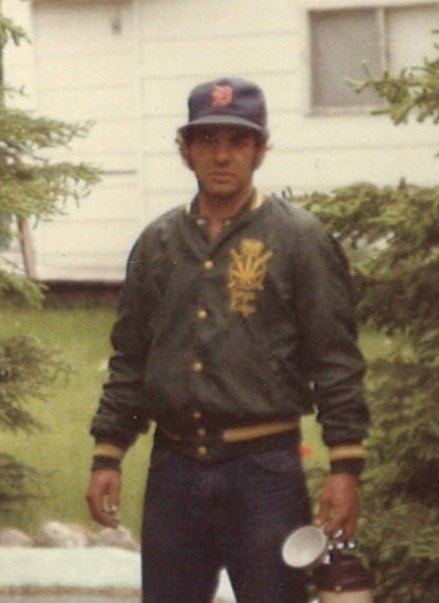 Ron’s career involved construction, work on farms, roofing until he had a stroke He will be best remembered for his love of sports as a gifted athlete, in his younger years, and faithful fan. Brother and brother-in-law of Louise Sheir (Murray), David Crawford, Joan Allie, Judy, Jane, Pauline and predeceased by his parents Jack and Betty and brothers Bill and Gordon. Also remembered by many nieces, nephews and their families. Cremation to take place. Family and friends are invited to the Andrew L. Hodges Funeral Home, 47 Wellington St. S. St. Marys (519-284-2820), on Monday, April 15, 2019 for visiting from 1 p.m. until the time of the Memorial Service at 2 p.m. Interment in Avonbank Cemetery at a later date. Memorial donations may be made to the Avonbank Church or Avonbank Cemetery.